Am I overweight and does that affect my longevity? Am I overweight? And does weight affect longevity? Am I overweight - can the scale tell us? How often have you wondered: 'Am I overweight?" And have you ever stopped to question who decides when someone qualifies as 'normal,' 'overweight, or 'obese'? Because I'm interested in longevity and what it takes to live long and healthy lives, and because weight is blamed so much for poor health, I did a deep dive into 'obesity research' and what I found astonished me. But let me tell you quickly about research done at Brigham Young University by Julianne Holt, where they gathered data on diet, exercise, air quality, smoking, drinking, social lives, vaccines and many other measures from tens of thousands of people. They went back 7 years later and here was the finding that interested me: when it came to who did best health-wise, whether you were lean or overweight was only ranked in the 8th most important position. 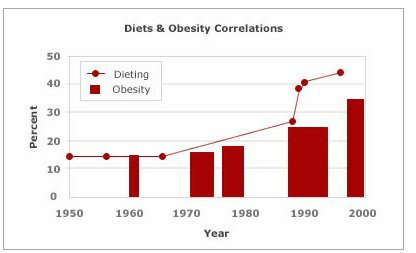 I this kind of research tickles your interest, you'll love this deep dive I did into longevity, health and weight. 'Normal' = the longest life expectancy- right? I'm guessing that you would agree with me that so-called 'normal weight' should be the weight where the longevity rate is highest as a group - right? If you agree with me on that basic premise bear that in mind and let's take a examine a little more closely at the 'instruments' people can use to figure their apparent optimal body weight and try to figure out why 'normal weight' isn't what always correlates to the highest life expectancy as we would expect it to. % body fat measures: this uses either calipers, a water immersion test or more complicated and more expensive means to calculate body density. Percentage body fat is the best indicator of metabolic fitness but the most unaccessible and expensive of the measures. The percentage of body fat a person needs depends on age and gender (men need less body fat than women) and for women, events such as puberty, pregnancy and menopause change the amount of body fat we need. Women need a higher percentage body fat at every stage of life for their bodies to function normally. The problem with % body fat is that it is not readily accessible and any large epidemiological studies that determine longevity in large groups never actually use body fat percentage. In addition culturally defined ideas about the amount of body fat we need to have clash with our biology if we use life expectancy to go by. For example: Show me a single country in the world where 'obesity' is on the increase and I'll show you their increased life expectancy that goes right along with it (and that includes the USA - the fattest nation in the world). BMI (Body Mass Index): a weight-to-height ratio, calculated by dividing one's weight in kilograms (as determined by a scale) by the square of one's height in meters and used as an indicator of obesity and underweight. BMI is very commonly used by insurance companies and in your doctor's office, but it is fraught with a problems. the scale: is the cheapest and most accessible way of people racking their weight, and many people have them in their homes and are terrorized by them on a daily basis because no matter their weight, it seems to answer the 'Am I overweight' question affirmatively even when people are skinny (as evidenced by the number of people who start dieting but aren't fat when they do). But in reality it tells you very little other than how much gravity your body is attracting. Every time you head for your doctors office, you'll probably find yourself asking with a bit of anxiety - am I overweight? 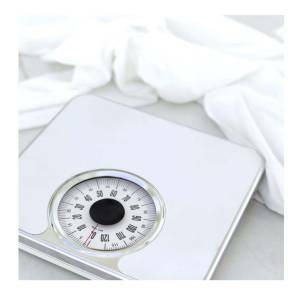 You'll be required to stand on a scale and then use a height and weight table to determine if you're fat, or thin, normal or obese. So here are a few problems that can creep in with just the scale portion of this equation...for a scale to be truly accurate, it has to be recalibrate every few weeks - very few ever are. Next, water retention used by a hormonal cycle or medication you're taking can make a big difference. But now, let's get to the real problem with BMI in the whole dilemma of figuring out - am I overweight? And there are many! BMI was started n the 1830's by a Belgian statistician named Adolphe Quetelet. It was called the Quetelet Index of Obesity and was designed to measure the collective weight of a population. It was never intended for use on individuals and it was only ever tested on large groups of men. BMI is only concerned with weight and height and doesn't take into account the difference weight of bones, water and fat. Muscle and water weigh a lot more than fat which is why men at the same height as women on average weight more and why they are usually physically stronger. This means that a very muscular person, or someone simply holding excess water, could have very little body fat, and yet come out as “obese” according to BMI. “Obese” is defined as having an excess of fat, so it's obvious then that BMI cannot accurately measure one’s fatness, or someone's metabolic fitness. So for example, if a 6ft man was asking: Am I overweight? and he weighed 250 pounds, the answer would be: "You're obese." But what if he were a weight-lifter of the same dimensions, he's likely to be pretty much solid muscle with a very low % body fat and so he shouldn't be considered obese at all. According to their height and weight measurements, actors Tom Cruise, Mel Gibson and Sylvester Stallone are technically “obese” as measured by BMI. Now here's the biggie....remember how we agreed that the definition of 'normal' should also be synonymous with 'healthiest' who live the longest? In June 1998, 29 million American become shifted from 'normal' to 'overweight' overnight, and not because they'de gained weight overnight but because we were hoodwinked by Big Pharma into changing the ranges even in the face of evidence that the BMI ranges should be lowered and not raised. You can hear prof Linda Bacon tell the story about how that happened in this interview. And there is loads of epidemiological evidence that people in the current so-called 'overweight' range are living the longest. You can read some of that evidence here. Am I overweight? How do I REALLY know? When you practice intuitive eating principles, and over time your body weight stabilizes...THAT's the weight YOUR individual body should be healthiest. live active lifestyles, your body will slowly reach it's perfect size....whatever that size is. And PS.... I'm sorry to have to tell you this but because our BMI rates have been hi-jacked by the money-hungry weight loss industry, that weight may well be higher than either the BMI ranges OR the pictures painted for us in the media. Instead of asking "am I overweight" a much better question to ask is, "what is MY natural weight?" Remember you're a unique individual, and as such, your body has unique needs and those change from time to time. Our bodies aren't designed to be one static weight no matter what. But be warned, once you see yourself through 'I am overweight' eyes - it's difficult to see yourself as anything else even when you're already at the weight it would like to be - you may not be fat in the eyes of your body. Your body may not need to lose weight because it may be at it's natural size, especially during menopause and pregnancy.